If you ever see me on course, guaranteed I’ll have crampfix on me! I’m thrilled to have been selected to join the CrampFix team of Ambassadors, and look forward to spreading the word of a cramp free race! My story with CrampFix started at the Gold Coast Marathon expo, where I dropped by the stand and chatted to Jan about the product. It was a day before the race, so I decided I wouldn’t experiment with anything new. Needless to say, I cramped really bad the next day, the return to the finish from Runaway Bay was and horrendous experience, dropping over a minute in pace due to crippling cramps in my calves. I bought my first CrampFix Shot at the City2Surf expo – I didn’t need it for the shorter distance race, but took the opportunity to stock up for the Sydney Marathon. I had a good chat to Jan again, and told him about my Gold Coast experience, the next marathon was not going to be a repeat. Sydney Marathon came around pretty soon after, and I was ready. I had been training well, had experimented with nutrition and felt prepared – I also had a couple shots of CrampFix, just in case. 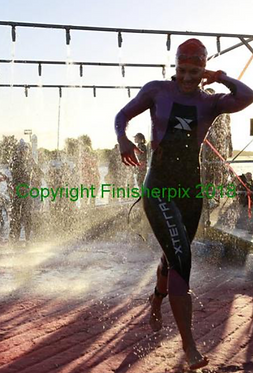 Those shots were consumed in the back half of the race, they allowed me to power through without debilitating cramps. I finished with a PB time of 2:57:31 joining the sub3 club. Since Sydney Marathon I haven’t raced without a CrampFix tucked away with my gels. Stromlo lightning 30km – one CrampFix, top 10 finisher, no cramps. Six Foot Track Marathon – two CrampFix, 4:18:38 finish, no cramps. If you ever see me on course, guaranteed I’ll have CrampFix on me. It’s A Breakthrough In Cramp Management! CrampFix® is a new formulated supplementary sports food especially developed to help high performing athletes achieve their performance goals. Ideal for any athlete and currently being used with success by professional AFL, Rugby Union, NRL, Ironman & Cyclists. CrampFi®x treats muscle cramps through the neuro-muscular system. Instead of treating the cramping muscle itself as most commonly done, CrampFix® treats the OVERACTIVE NERVES that are causing the muscles to cramp. CrampFix® helps athletes TAKE CONTROL of muscle cramps. Rapidly. Drinking CrampFix® stimulates the sensory nerves in the throat. The overactive nerve signals going from the nerves to the cramping muscle are INTERRUPTED. The cramp is RAPIDLY RELIEVED OR PREVENTED. If you’re wanting to use CrampFix in your next triathlon but aren’t sure just how to … read this race report by Ironman Triathlete & Ultraman Kristin Trappitt. “For the Ironman 70.3 Geelong I took an Espresso CrampFix pre swimming as I can get quad and calf cramps during the swim. Not on Sunday thankfully!. On the ride I had a Raspberry CrampFix at 20km and again at 65km. These help me as I have tight calves and it helps me stay looser into the run. This was a tough run, especially with the warming conditions. A Lemon CrampFix at the end of Lap 1 of the run and NO CRAMPING issues at all during the day! December 2018. Photo of Kristin Trappitt and Rod Miller. A muscle cramp can stop you in your tracks–but with science on your side, you can fix it fast. Your Facebook post about a midrace muscle cramp now has 32 unsolicited comments: Eat bananas! Salt tablets! Mustard! While the peanut gallery means well, the advice they’re dishing out may just be nuts. In fact, even experts can’t say with certainty what causes exercised-induced muscle cramps. What experts do know is that many common treatments have been proven ineffective. Which means it’s time to rethink your treatment regimen. Experts weigh in on two common theories. Dehydration and Electrolyte Loss: The best-known theory is also the one with the least amount of scientific support. Timothy Noakes, M.D., Ph.D., D.Sc., a renowned exercise scientist from the University of Cape Town, calls the studies that link cramps to sodium loss and dehydration “bogus science.” In 2004, he studied the electrolyte levels of 43 ultramarathoners. Blood tests after a race showed no significant differences in blood sodium or magnesium concentrations between those who had and hadn’t cramped. There were also no differences in body weight, plasma volume, or blood volume between the two groups, showing that dehydration had no real effect. Miller agrees: If dehydration alone could cause a muscle cramp, he theorizes that you could seize up in saunas or hot tubs, or even just walking around on hot days. Muscle Fatigue: Dehydration, however, could expedite muscle fatigue, and that is what Miller believes is a likely cause of cramps. In that ultramarathoner study, 100 percent of the runners who cramped did so in either the last half of or right after the race. Anecdotally, this theory holds up: Most people who cramp seem to be covering longer distances; cramps seem more common at mile 20 of a marathon than, say, mile two of a 5K. Additionally, speedier runners seem to be at higher risk. Two 2011 studies found that fast-paced ultramarathoners and triathletes had more cramps than their slower counterparts. Here are the best strategies for avoiding spasms. Strength Train: Miller recommends plyometrics (check out this article for an explosive plyometric workout)—explosive exercises that may improve the endurance of the receptors that are thought to misfire and cause cramps. Pace Properly: If you trained logging 10-minute miles and you start racing 8:45-minute miles, your muscles won’t be prepared for that effort, and you’ll risk cramping, Miller says. Keep Track: Miller thinks cramps are often caused by the perfect confluence of factors. “If you tend to cramp up at 20 miles, write that down,” he says. “Then write down the conditions: Was it hot? Was it humid? How much did you drink? What was your nutrition like the night before? Were you acclimated to the heat?” Track patterns over time, and you may be able to figure out exactly what makes you cramp. Or – why not try a CrampFix QuickFix Shot until you figure things out?! even carry one with you for emergencies! You never know what can happen out there right? One CrampFix Shot will get rid of any cramps in about a minute, so you can be back in the race. You can even stay in the race by using the product preventively. Consume it before the race or before the sticky stage and get through without cramping! Race cramp free. “One of the most common reasons for failure in the marathon is suffering from muscle cramping. As many seasoned marathon veterans know, these muscle cramps can be one of most frustrating reasons for a poor performance. Typically, when you suffer from a cramp, everything else is going pretty well. The pace feels easy, you’ve got plenty of energy, and a new PR seems almost inevitable. Then bang! Your calf cramps and it takes everything you have just to crawl to the finish. As we’ve been taught to do from the billions of dollars funneled into the sports drink market every year, most runners blame a lack of fluid or electrolyte intake for their untimely cramp. So, for their next marathon they work on drinking more often. Unfortunately, as many marathoners know, this rarely solves the problem. It seems no matter how often we drink or how precisely we try to optimize our electrolyte levels, the same darn calf cramp returns late in the race. This is because your marathon cramping isn’t likely a hydration or electrolyte issue at all. Rather, the problem is what we call a “muscle overloading” or a fatigue cramp. This occurs when the neural mechanisms that are supposed to inhibit muscle contraction are depressed and the chemical and electrical synapses that fire the muscle fibres are enhanced. The result is an intense, sustained involuntary muscle contraction”. Products such as CrampFix are able to interrupt these enhanced electrical synapses that are firing the muscle fibres. CrampFix was developed with professional Rugby players who commonly suffer cramps during a game. After three years of trialling the formula it was concluded that it can be used at the time of cramp AND/OR prior to getting a cramp. After drinking or swirling the product the response is almost immediate due to the neurological activation. Studies by Dr Kevin Miller were considered as a basis for the idea of treating cramps in this way. Dr Miller conducted several studies where athletes were induced electrically with cramp after which they were fed varying formulas. Despite not being able to find out why athletes cramp, he was able to link successful treatment to consumption of low ph formulas. If you are worried about the dreaded cramp, why not give CrampFix a try? It’s being used around the world by professional and recreational athletes across many different sports. Stay Brave, Stay Strong, Stay Focused, Stay Cramp Free!! CrampFix is available in multi use Fliptop lid bottles and single shot sachets. Indian Cricket’s Pujara Drinks CrampFix To Relieve Muscle Cramps! Note – you don’t drink CrampFix for it’s taste!! Drink CrampFix for rapid relief and/or for prevention of painful muscle cramps! We met with the Indian Cricket physio in November 2018, just after the team’s arrival in Australia. They were very pleased to be presented with a product that specifically targets cramping. Cramping in some players has been an on going issue for the team and can impact on their results. When cramp strikes their top players at key moments in the game it can mean the difference whether or not a player can stay on the field. Potentially a difference between winning or losing a game. CrampFix was developed with professional football players here in Australia. We make all products in our own HACCP manufacturing facility in Burleigh Heads, Queensland. Every batch is tested for banned substances for athletes’ assurance and is Informed Sport accredited. For more information about the testing please click www.informedsport. CrampFix is all natural, vegan and packed in portable, easy to use packs. CrampFix Shots, as used by Pujara and the Indian Cricket Team are 20ml single shot sachet packs. Available in 3 flavours Lemon, Raspberry & Espresso. Simply tear open half way and drink! No mixing required. Also available in 50ml multi-serve squeeze bottles. Simply flip the lid open and drink when required. Easy! Yes, the taste IS strong! salty and vinegary! the first time using is the worst. You can get used to it and it makes a refreshing pallet cleanser after using sweet sticky energy gels. I Was Genuinely Amazed At The Results! No Cramps! I am loving the new sachets that make it easy to carry for races. I am an endurance runner that is relatively new to the sport and have just recently started competing in Mountain Running. My first event was the Warburton Trail Fest in Victoria, which was 22k with 1300m of elevation gain and loss. There were two points in the race where I was on the verge of cramping so badly (calves on the way up, quads on the way down) and normally would have, but tried your product for the first time and was genuinely amazed at the results in not only in stopping cramping but also improving my overall alertness. That day I managed to secure a win by 10 minutes and a spot on the Salomon/Suunto Australian running team, and CrampFix was definitely part of that!. In my most recent event two weeks ago, I ran the Australian Mountain Running Championships and again used CrampFix to stop my calves from cramping, and again managed to secure a win and Automatic selection to compete for Australia at the World Mountain Running Championships in September. Thank you so much again, the results of us athletes wouldn’t be possible with awesome products such as yours. If you are ever looking for brand ambassadors or the like, I would love the opportunity to help build up awareness of the product in the running/endurance community. We are busy preparing our new manufacturing premises located in Burleigh Heads, Queensland, Australia. Exciting times as we install some new machinery, paint new walls and fit out new offices! CrampFix™ is a supplementary sports food that includes a proprietary formula which helps high performing sports people to achieve their performance goals. Why does CrampFix™ have a strong taste? How is CrampFix™ different from other muscle cramp products? CrampFix™ treats cramps rapidly through the nervous system, rather than by treating the actual muscle itself. The unique CrampFix™ formula acts as a sensory stimulant in the mouth and throat to send a signal to the spinal cord to block overactive nerve signals which are causing a muscle to cramp or spasm. The CrampFix™ formula has been tested for banned substances by LGC Laboratory in the United Kingdom. The testing program used is the Informed Sports banned substance test. If you require the results we are more than happy to provide these to you. CrampFix™ works rapidly to fix and prevent muscle cramps by targeting the overactive nerves that are causing the muscles to cramp. We don’t know exactly what causes muscle cramps but we know how to fix them! There is an association between premature muscle fatigue, exercise induced muscle cramp, stimulation of sensory nerves and interruption of alpha neutron (nerves) firing. CrampFix™ is safe to use without affecting athletic performance, as long as consumption instructions are followed. Refer to label for instructions. CrampFix™ is a highly effective formula that took three years to develop specifically for professional athletes. When should I drink CrampFix™? Can I keep an open bottle of CrampFix and how should I store it? Simply screw the lid back on and keep it until you need to use it again. Due to the low pH level, CrampFix™ can be safely stored as long as the lid remains on and no foreign particles fall into the bottle. Check the Best Before date on the bottle. Where can I buy CrampFix™? Buy CrampFix™ online at www.crampfix.com.au or at selected stores throughout Australia, Singapore, Hong Kong, Malaysia and Korea. The sports medicine community and athletes often contribute exercise related muscle cramping to dehydration or an imbalance of electrolytes. However, in an astonishing study performed by a professor of sports medicine and the director of Ironman South Africa in 1997, the conclusion was drawn that exercise-associated muscle cramping due to dehydration or electrolyte imbalances is a misconception. This conclusion was drawn after the director followed 1300 runners during the competition. Electrolytes and hydration must make their way through the bloodstream in order to have an effect on muscle cramps. This process takes much too long to provide relief. In fact, it takes one hour for electrolytes, 30 minutes for bananas,  and five minutes for water. For athletes, this amount of time can hinder performance due to the lack of relief of their muscular cramps. ● Muscle contractions are initiated by a nerve, referred to as the alpha motor neuron. ● This neuron receives messages from your brain, known as conscious movements, and also from your spinal reflexes (unconscious movements). ● Spinal reflexes stop muscles from stretching or loading in excess. ● Neuromuscular fatigue causes an elevation in firing from the reflexes that protect against stretching, which results in excessive muscle contractions (cramps). If you’ve ever experienced a brain freeze from drinking or eating something cold, you know it’s uncomfortable. This reaction is caused by the nerves in the mouth and esophagus being topically stimulated. CrampFix uses a unique blend of ingredients which targets these nerve receptors in a person’s mouth and throat, which provides near immediate relief to your body’s neurological response. In addition, since CrampFix does not go through the bloodstream, the product relieves muscle cramps and also prevents them within 60 seconds of taking it. Beresini, Erin. “How Can I Avoid Muscle Cramps?” Outside Online, 13 May 2013. Web. 24 Dec. 2015. Miller, Kevin C. “Exercise-Associated Muscle Cramps: Debunking Five Myths.” Mom’s Team, 19 July 2013. Web. 24 Dec. 2015. Hutchinson, Alex. “How Quickly Is Water Absorbed After You Drink It?” Sweat Science, 19 Oct. 2011. Web. 24 Dec. 2015. Tucker, Ross, and Jonathan Dugas. “Muscle Cramps: Part I.” Www.sportsscientists.com. The Science of Sport, 20 Nov. 2007. Web. 24 Dec. 2015. CRAMPFIX HAVE ABSOLUTELY NAILED THE PRODUCT! Alex Price recently competed at the Ironman OZ in Port Macquarie. Along with competing Ironman events himself, Alex is also an AIS Elite Triahtlon Physiotherapist, and a Triathlon/Running Coach. Alex had the opportunity to use CrampFix® at Ironman Oz and is planning on keeping it in his nutrition kit leading into Ironman Busselton, WA later this year. “Excited to start a partnership with the team at @crampfix! I have suffered with cramps on and off, especially during long days out and in Ironman’s and have always made my own pickle juice ‘brew’ to combat this. However these guys have absolutely nailed the product, as many athletes found out when they tested it out at Port Mac IM! And, it’s Australian made and owned! Do you need saving from muscle cramps? Do you know what ‘Randonneuring’ is? Meet Jong Ha Park! He is part of Korea Randonneurs, and is the most well known within the community. Randonneuring (also known as Audax in the UK, Australia and Brazil) is a long-distance cycling sport with its origins in audax cycling. In randonneuring, riders attempt courses of 200 km or more, passing through predetermined “controls” (checkpoints) every few tens of kilometres. Riders aim to complete the course within specified time limits, and receive equal recognition regardless of their finishing order. Riders may travel in groups or alone as they wish, and are expected to be self-sufficient between controls. A randonneuring event is called a randonnée or brevet, and a rider who has completed a 200 km event is called a randonneur. The international governing body for randonneuring is Audax Club Parisien (ACP), which works with other randonneuring organisations worldwide through Les Randonneurs Mondiaux (RM). Randonneuring is popular in France, and has a following in the Netherlands, Belgium, United Kingdom, Italy, Australia, United States, Canada, Brazil and India. There are more than 10,000 registered “Randonneurs” in Korea, and upon introducing them to Crampfix, it is the best item they have tried so far. Wow! 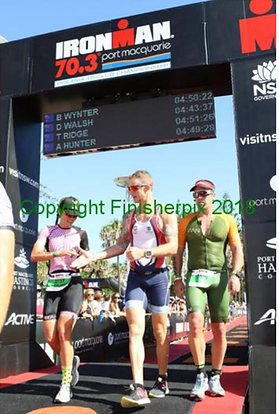 Nick was very thankful CrampFix® was trackside on the run course of the Ironman Port Macquarie. He is just one of many Ironman competitors who needed help with fixing painful and annoying muscle cramps and muscle spasms. CrampFix® was made available to all runners at one of the aid stations and made a big difference to those that needed cramp relief. “You won’t be disappointed!” – Suki Bloom, 2017 Gatorade Triathlon Series Champion 25-29 yrs. “I’ve found that since starting a liquid only race nutrition plan, I suffer from cramping and tight muscles more frequently than I used to. UNTIL NOW! I was fortunate enough to try a little product called @crampfix and man it lives up to the name. I’ve been using it preventatively rather than when things start to go pear shaped (a small dose every 30-60 minutes) and not only have I had ZERO cramping but I’ve found my muscles can stay a lot more relaxed for a longer period. It looks like the team at CrampFix will be at @IMCairns (expo and running aid station). So if you’re looking for a new cramp ease product, or want to give it a go, get in touch with the team, PM me, or visit the stall at the expo! At Ironman Port Macquarie, CrampFix Saves The Race For Muscle Crampers! At the 2017 IM OZ, Port Macquarie, CrampFix was on course to provide rapid relief and prevention to Ironman crampers! CrampFix partnered up with Ironman to offer cramp suffering athletes a fast acting, easy to use solution right on the run stage of the course. Single doses as well as full bottles were made available at R1, on both sides of the aid station. CrampFix will also be available at the upcoming Cairns Ironman on 11th June 2017. David Joyce is the Head of Athletic Performance at the GWS Giants AFL team. Because Australian Rules Football involves a lot of running, jumping and tackling and muscle cramping can be quite a normal problem. After trying many other ways of managing cramps, David has used CrampFix over the last three years. CrampFix is now the team’s front line management of cramping. Did you know that contrary to popular relief, hydration and electrolytes on their own can’t always prevent or relieve muscle cramps? For athletes, muscle cramping and fatigue can severely impede performance, which is why husband & wife team Jan and Michelle set out to develop a remedy in 2015 after hearing about the effects that acetate or vinegar can have on cramps. The remedy they developed is CrampFix; an all natural, concentrated formula that works rapidly through the nervous system to stop the overacting nerves that are causing muscles to cramp. While using acetate or vinegar to manage muscle cramps isn’t an idea that’s often heard about in the mainstream media, Jan and Michelle decided to look further into it after hearing about particular research from the USA that mentioned American Footballers were having some success managing muscle cramps with these ingredients. Ironically, Jan and Michelle were familiar with acetate given that it was often used in their condiments factory. Given familiarity with the ingredients & through further research, they decided that CrampFix would initially focus on providing cramp relief to rugby players in Australia. In the initial trial, the Western Force rugby union team used the early version of the product and it showed great success. Following the trial with the Western Force, CrampFix started to be used by the GWS Giants AFL, the Cronulla Sharks and the Melbourne Rebels. Once it was proven that the product does indeed work effectively, the next step was looking at how CrampFix could be marketed. At this time it was apparent that with the target audience being athletes that suffer from muscle cramps, developing a sports supplement drink would be the best course of action. With a background in food manufacturing, including ice cream and condiments, and with a broad range of business skills that include marketing, product development, finance management and accounting, Jan and Michelle felt confident they had the key skills that are needed to launch this new business venture. They continuously draw from their experience and they are dedicated to making CrampFix a name known throughout the entire athletic community. CrampFix works by stimulating the sensory nerves in the throat, which then sends further signals to the nerves. Much of the research regarding acetate/vinegar and how they play a role in preventing and relieving muscle cramps is still not widely known. There is definitely skepticism out there but once athletes try CrampFix, they seem to be hooked on the undeniable results!